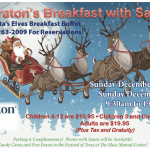 Calling All Santas! We need your participation! 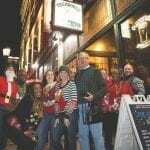 Join The Young Professional Society of Greater Springfield and The Springfield Thunderbirds on Friday December 8th for the second annual Springfield Santacon! Each ticket includes entry to the Springfield Thunderbirds game and a donation to charity. 5:00 – 6:40PM: Meet at Smith’s located at 201 Worthington St.
7:05 – 9:00 PM (estimated): Attend the Springfield Thunderbirds game, sitting in one unique section FULL OF SANTAS! Tickets can be picked up that night at Springfield Thunderbirds’ Box Office.